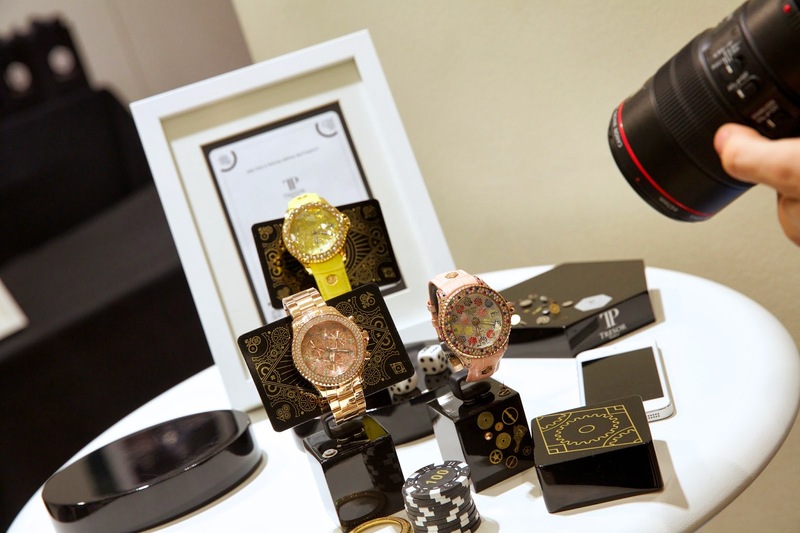 Tresor Paris, is always ahead of the game with stunning and amazing events in order to launch their new products. Extremely well known for the sparkling bracelets which are virtually on everyone 's wrist, the latest venture has been the launch of a range of gorgeous watches, the Nouveau Hexagone collection for women and men. 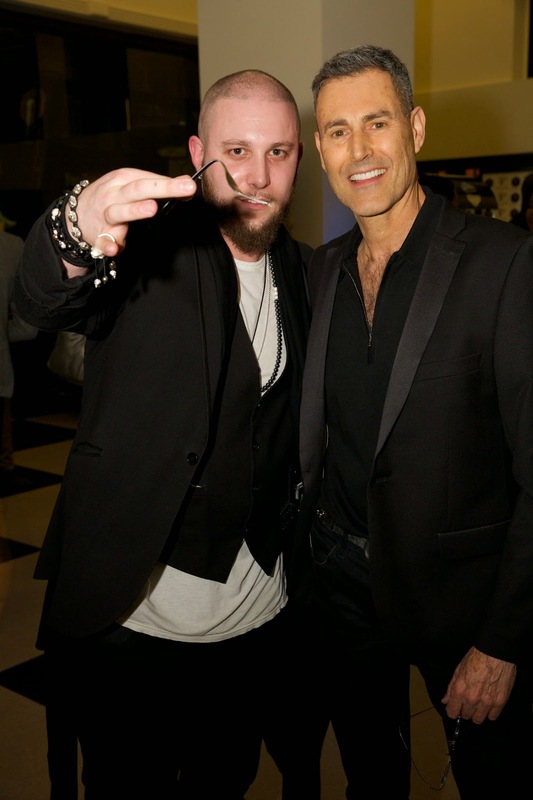 Held at the prestigious Jack Barclay Bentley showroom in Berkley Square, we had an evening filled with celebrities, cocktails, magic tricks and casino's tables. They are beautiful, with their hexagonal faces and the faceted glass. They are all 18 carat white, rose and yellow gold or black plated. The faces are sparkling and it is possible to have different bezels. Some models are available with a leather strap as well and they start at £ 495.00 up to £ 1495.00. Available for pre order from the website on the 2nd of April and from stockist nationwide in May 2014. 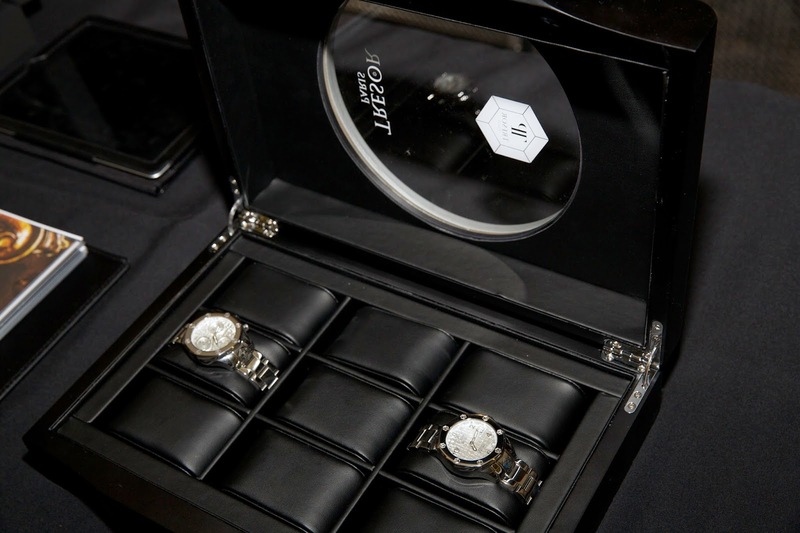 A fantastic turn out of celebrities at Tresor Paris Nouveau Hexagone Watch collection. 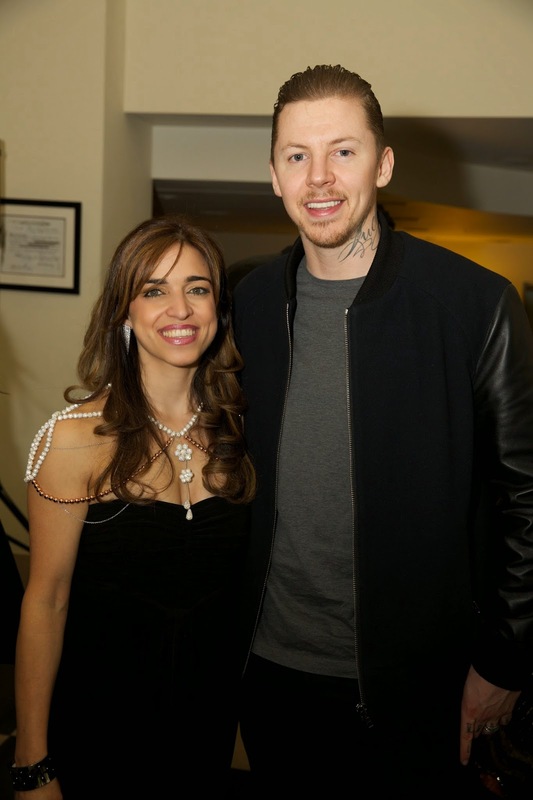 Director and designer Lilian Lousky is wearing one of her creations, a sparkly shoulder cover using Tresor Paris crystals, is with rapper Professor Green. Magician Josh Brett entertained the guests performing his magic tricks, but he was amazed himself by the ability of Uri Geller to bend a spoon. 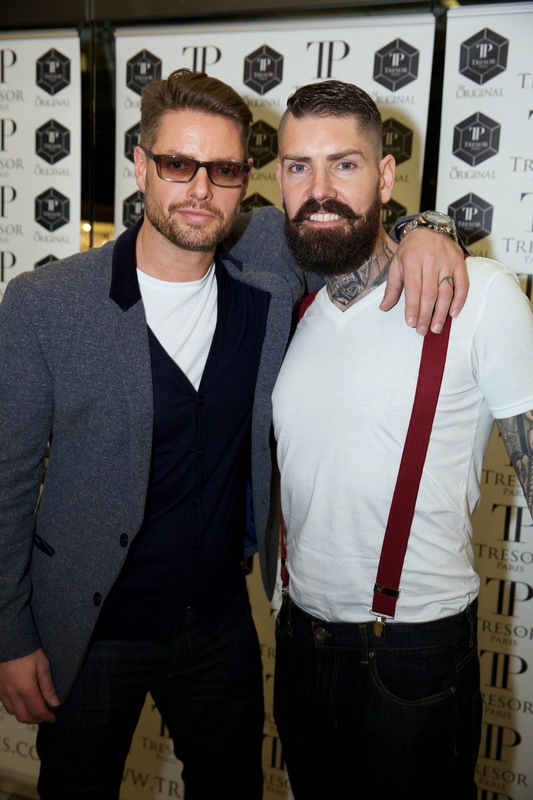 Keith Duffy and Shane Lynch from Boyzone were there engaging with the guests, taking selfies and enjoying the evening like everyone else. The cocktails and canapes were the top and the music a perfect background so that everyone could chat without the need to shout. Some of the watches were on a table so we could pick them up and see closely how well made they are and all the details. The watches come in 40mm , 44 mm and 48mm sizes and the gold plated ones have got a very solid base of stainless steel. Trying my luck at the Black Jack table. 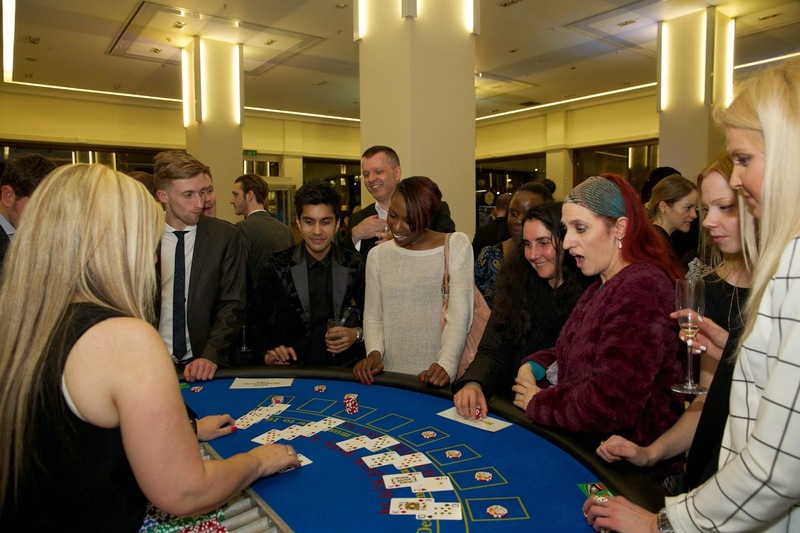 I must admit, I was very lucky but not enough to pile up chips in order to win a Nouveau Hexagon Watch at the end of the evening.. What can I say, Tresor Paris is always organising the best parties and events and I always have a great time. But now hurry to www.tresorparis.com to pre order one of these fabulous watches and while you are there to indulge in a bit of a shopping spree.